Products / The Golden Years Gift Box. The Golden Years Gift Box. The Golden Years Box comes packaged with 5 to 8 of the best and most luxurious self care items designed to support the wellness and changing needs of women over 50! These items include vitamins, essential oils, accessories, beauty and health products and much more. 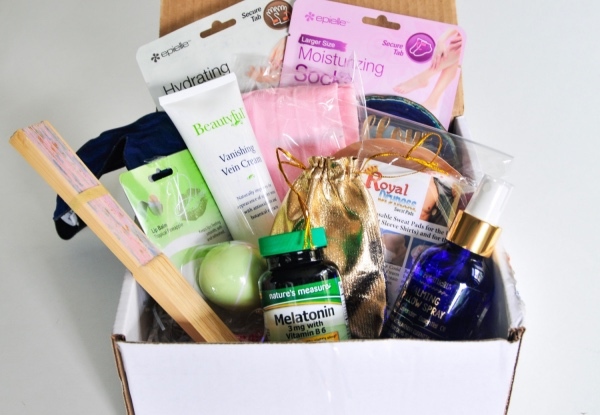 Each subscription box is curated to a specific theme; for example, The Sleep Box and The Strength and Flexibilty Box. We offer a onetime gift purchase or select one of our subscription plans; Month to Month, Six Months, or One Year service is available and always comes with free shipping in the Continental US! Make The Golden Years your Best Years! Keep in touch with us on social for updates, coupons, freebies, and more!